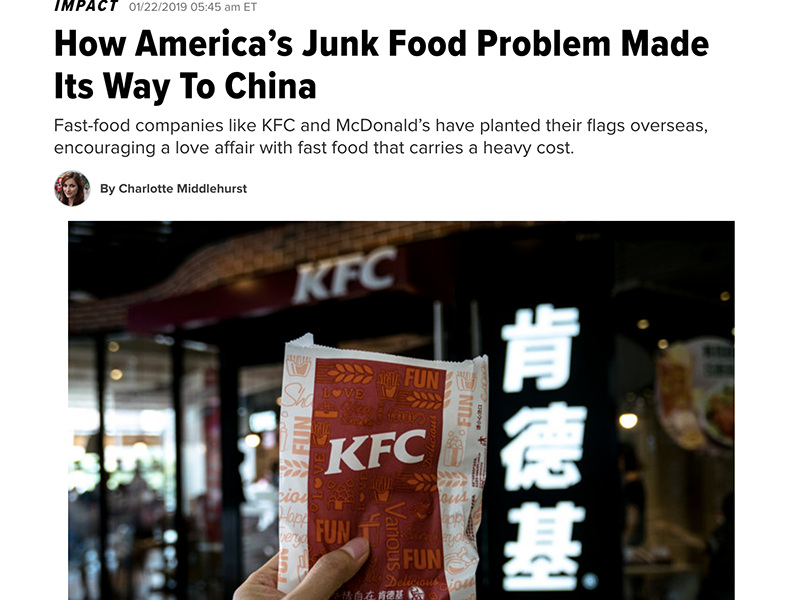 Executive Director Mia MacDonald was quoted in an article in HuffPost, alongside our colleagues Judy Bankman and Cecilia Zhou, called, “How America’s Junk Food Problem Made Its Way To China.” The article is about how fast food and poor diet found its way to China, bringing along chronic diseases as well. Mia links this to globalization and says, “China is so big I think most Western [fast food] brands want a foothold there.” Judy Bankman, co-author of Brighter Green’s discussion paper “Chronic Disease, Changing Diets and Sustainability” says, “there is an allure around these brands because they are from the West and represent something very clean and modern. Cecilia Zhou, chief project officer at the Good Food Fund adds that younger people are starting to increase demand for more healthful food. “They care more about the environment and food ethics,” she says. You can read the entire article here.